Home » Posts Tagged "Beverly Johnson"
With Beverly Johnson speaking out how Bill Cosby drugged her, the whole situation takes a more serious turn for the former beloved comedian. This supermodel was the first African American to have a Vogue cover and, unlike that other famous model, Janice Dickinson, and all those who have spoken out so far, she is black. It was not easy for her or anyone to speak out. But she did the right thing. As all these brave women did. And now Bill Cosby will hopefully not get away with all the denials he has tried to get away with up to now. 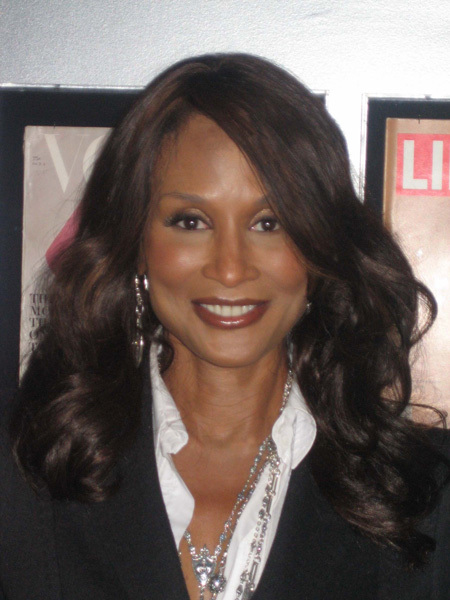 I photographed Beverly Johnson in front of some of her covers at the Model as Muse Metropolitan Museum of Art exhibition in 2009. She made history as the first black model to appear on an American Vogue cover, in 1974, and she will now. Bill Cosby should not get away with all he did to these young women, as he has for far too many years. Read her own story in Vanity Fair – Bill Cosby Drugged Me.